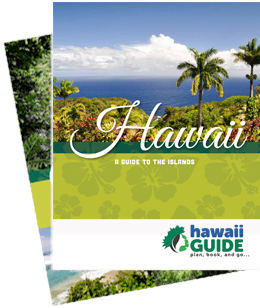 When you are planning your vacation to the Hawaiian Islands we are sure you have many questions to ask. Here are ten of those we hear often. If you have a question that isn't listed below, please always feel free to contact us. Hawaii follows Hawaii Standard Time (GMT-10 hours). Since Hawaii does not observe Daylight Savings Time, during the majority of the year (March-November), Hawaii is six (6) hours behind Eastern Standard Time and three (3) hours behind Pacific Standard Time. During non-DST months Hawaii is five and two hours behind each respective time zone. Do I need a car to get around on Hawaii? If you are looking for off the beaten path fun during your vacation then we generally believe it would be a good idea to rent a car. Oahu has a bus system that you can use but the other islands do not offer as reliable public transportation. There are two “seasons” on the islands, summer (May-Oct) and winter (Nov-Apr). The average temperature during the summer months is around 84 degrees F while the winter months it is 78 degrees F. For more details on the weather in Hawaii visit our Hawaii Weather article. What should I pack for my trip to Hawaii? The general island wear includes, shorts, bathing suits, sun tan lotion, flip flops, hiking shoes, things like that. If you plan to visit places like Haleakala on Maui and Mauna Kea on the Big Island you will need a hoodie or light weight jacket, as it gets pretty chilly up on the summits. If you are staying on the windward side of any of the islands plan to pack an umbrella or small rain jacket, as brief rainstorms frequent this side of the island. We also suggest leaving some space in your luggage for souvenirs, etc. since you’ll most likely make some purchases to remember your trip by. It depends on a few things. One of the top things would be the type of vacation you want, whether it’s an adventurous one or a lazy/relaxed time, or a mixture of both. We have a quiz that will help you in your decision. Whichever island(s) you decide on we feel confident you will not be disappointed. Food is a lot pricier on the islands whether you buy it and cook at your place or go out to eat for your meals. There are budget friendly places available for accommodations as well as restaurants. We tend to stay at places with a small kitchen so we can eat both breakfast and some dinners at “home” then pack our lunch to go while we go adventuring around the island. A ballpark amount might be, and this is including accommodations at a small B&B and food at non-pricey restaurants, $200.00/day for 2 people. We hear this one more often than you might think. Since Hawaii is the 50th state, U.S. residents won’t need to bring their passport unless they are planning to travel to another country after Hawaii. If you are not a U.S. resident, then yes, you must bring your passport with you.